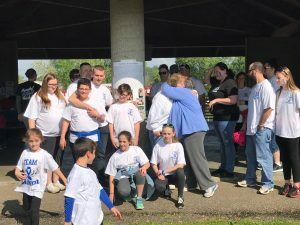 ZANESVILLE, Ohio — Family and friends came together at Zane’s Landing Park this morning to help raise awareness for Huntington’s disease. 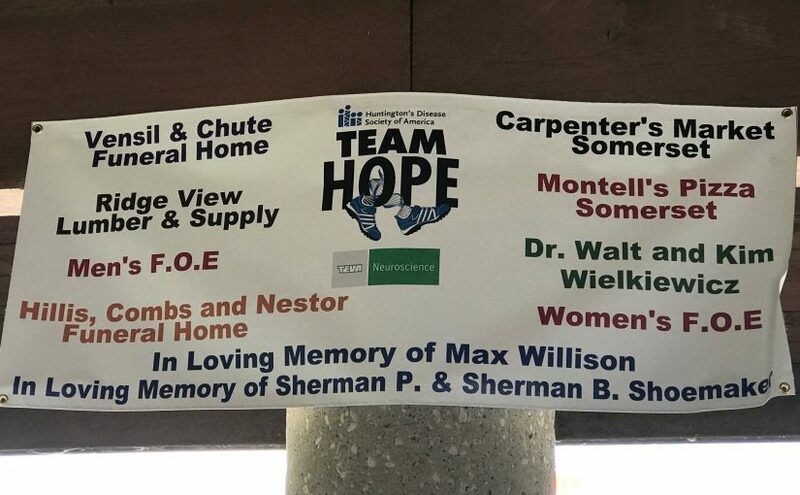 The 8th Annual Team Hope Walk took place in an effort to support the deadly disease that has taken the lives of many close to those in attendance this morning. ‘I was involved because it was in my husband’s family. 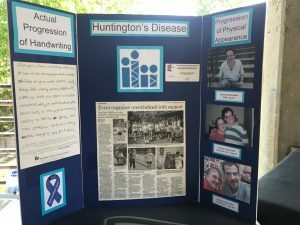 My husband had it and our oldest son had it and they have both died as a result of the Huntington’s disease, and people weren’t aware of it, so about 10 years ago I had the first walk here in Zanesville. My biggest goal was to make people aware; you can’t ask for donations or money if they don’t know what they’re donating for,” said Phyllis Shoemaker, a community member and creator of the Team Hope Walk. Huntington’s disease is caused by a dominant gene that is inherited. However, unlike many other hereditary diseases, the Huntington gene is not a matter of chance. It’s only a matter of time until it kicks in. Huntington’s is a neurological disease that affects muscle control, swallowing, walking, and causes many other post-stroke like symptoms. The organizers of the event say that they have received wonderful support from those within the community, including local businesses, and all the work that is put in to make the event successful is thanks to volunteers and donations. “When I started I went, personally, to each business, because if you get a letter people are going to put it in the file-13, and introduced myself briefly and gave them a flyer telling them what it was. I’ll go into a business and they’ll say ‘I know who you are,’ and ‘how much did I give last year?’ But we’ve had lots of good support in the zanesville area,” added Shoemaker. Shoemaker also thanked Jaclyn Hindel for her work in support of the event. Shoemaker said for the first six years of the event, she did the majority of the work, but after Jaclyn wrote on her registration one year that she wanted to help out, it was an easy decision. She says that Jacklyn and the Hindel family, who have also been affected by Huntington’s disease, have taken over most of the organizing when it comes to putting together the event. However Shoemaker joked she still collects the money herself, which she is good at doing. The event also honored local community member, Mandi Welday, who passed away in 2008 from Huntington’s disease. Family and friends were in attendance wearing “Team Mandi” shirts, and the Welday family donated $6,500 this morning after holding a fundraising event of their own to help raise money. Shoemaker said that the first year of the event they raised over $4,000 and they have improved each year. The fundraiser brought in over $10,000 in 2016 and she said their goal is to just keep improving each year.